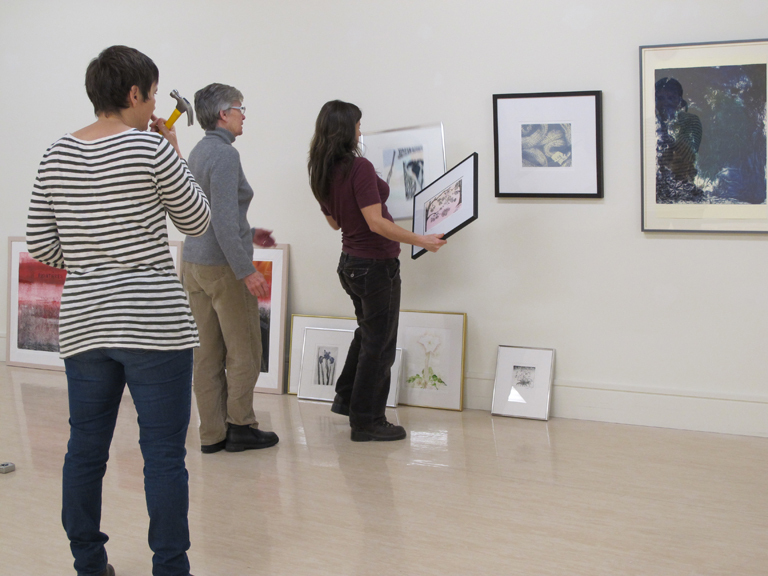 An exhibit of prints from two print shops in South West Nova invites the viewer to think about print-making as an evolving art form. 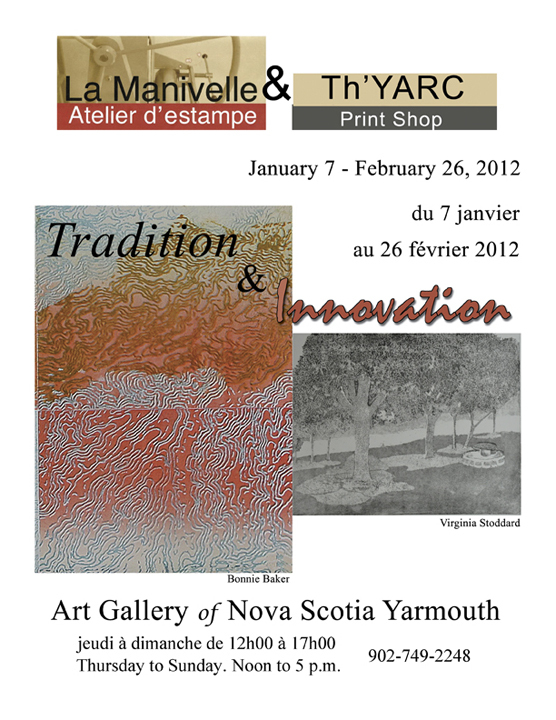 Tradition & Innovation is running from January 5 thru February 26 2012 in the Community Room of the Art Gallery of Nova Scotia Western Branch, Yarmouth Nova Scotia. 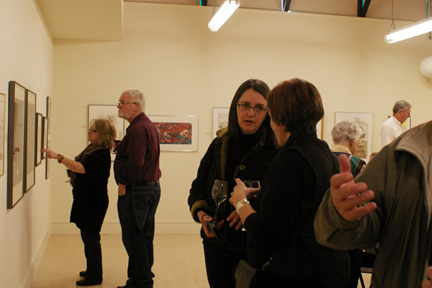 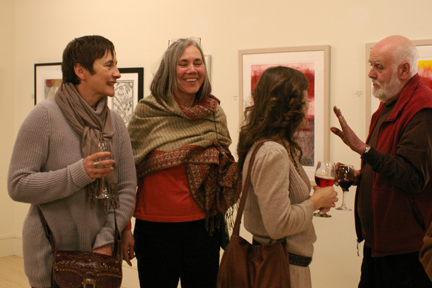 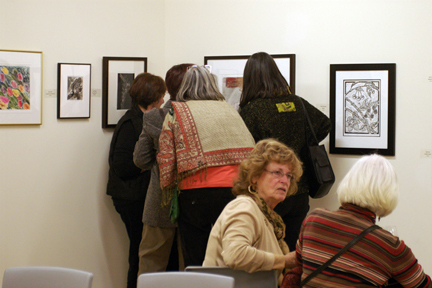 Opening reception was held Saturday, January 7. 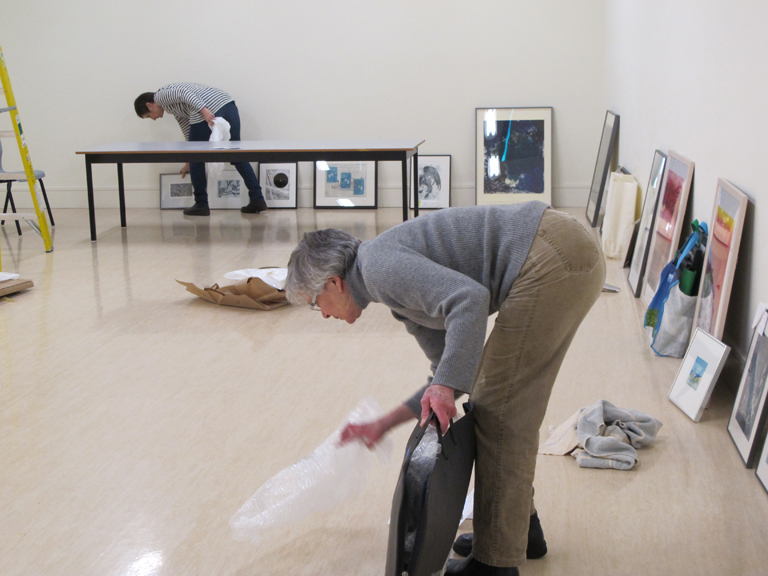 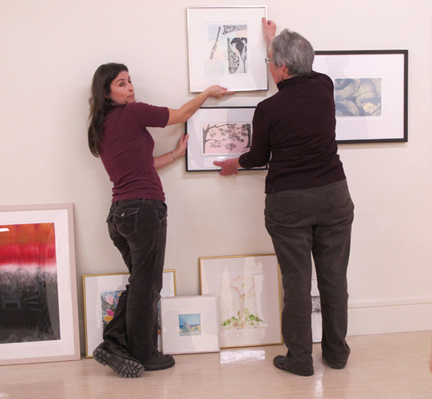 More than two dozen printmakers from La Manivelle in Church Point and Th’YARC Print Shop in Yarmouth contributed works including Cecil Day, Ruth Rideout, Denise Comeau, myself and others who have worked at one or both of the studios over the past decade. 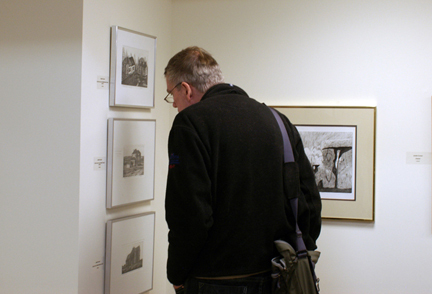 The title ‘Tradition & Innovation’ describes the way in which the evolution and discovery of new methods of creating printed images are being used alongside traditional print-making techniques in the two shops. 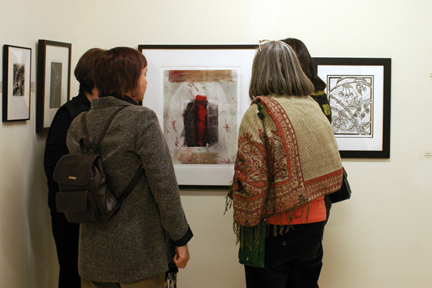 Over the course of the two-month exhibit, workshops tied to the techniques of etching, linocut, watercolour and trace monoprint will be given by Cecil Day, Virginia Stoddard, Flora Doehler and myself.